Orange Plaza, known as “the Circle” to Chapman students, was once ruled by bargain hunters who would wake up at dawn to search for treasures at the myriad of antique shops. But in recent years increasing foot traffic by Chapman students has prompted the birth of trendy, new shops and cafes such as Laurenly Boutique, Pie Hole, Contra Coffee, and T-Milk. 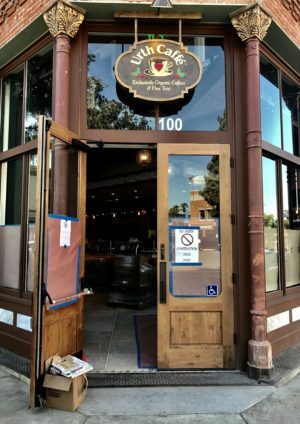 Soon to join their ranks is Urth Caffe, a chain specializing in health conscious cuisine, which will be opening in a few months. Meanwhile, antique shops have been disappearing. Chapman Antique Mall and George the Second, which had been open for over 25 years, both went out of business last year. Down Home Country American Antiques closed its physical store and now only conducts business online. Antique shops that used to be the core of business in this area are dying out because Chapman students have no interest in buying antiques. They are part of the newer generations that don’t care about old valuables and have no interest in inheriting family heirlooms. Students are spending their money at coffee shops and restaurants where they can take photos that are cute and can be posted on social media. They’re unlikely to spend what cash they have on antique furniture because it’s doubtful they have permanent homes in which to put it. Chapman students are contributing to the gentrification of the Circle with how they spend their money and who they choose to support. In an interview for the New York Times, Mary Kay Buysse, executive director of the National Association of Senior Move Managers, a company that assists older people with downsizing, noted that younger peoples’ lack of appreciation for old things is a national phenomenon. “This is the first time we’re seeing a kink in the chain of passing down mementos from one generation to another,” Buysse said. Generational differences have led to a change of identity for Orange Circle, De Vaul observed. 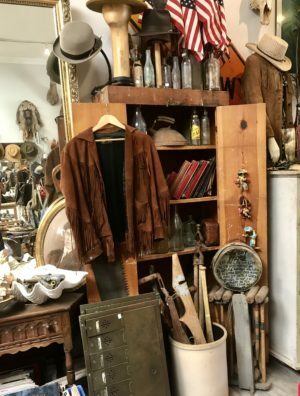 The number of antique shops in the Circle had already been halved in 2013 from the number of shops in 1993, according to a 2013 article in the Orange County Register. Since then, the attrition has picked up and sole proprietors have become unable to match rents that chain stores can pay. The Circle also used to be a neighborhood marketplace where residents could come and get their everyday necessities. No more, say some residents. “The church was our theater. We had a shoe store, a clothing store, a florist, and dime stores. 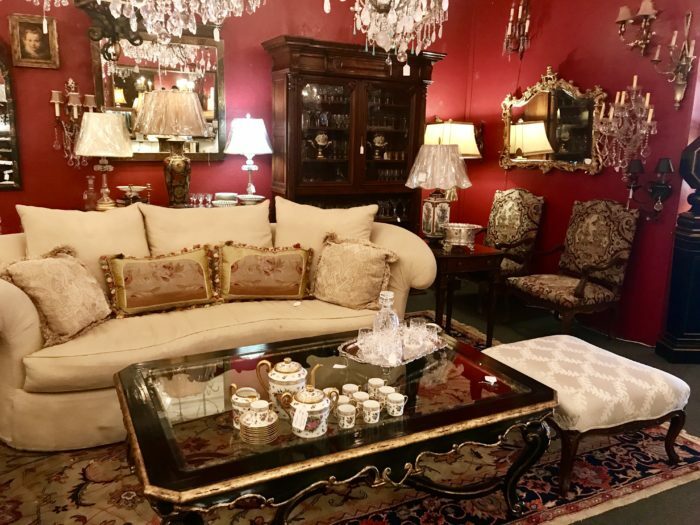 That was our neighborhood, our lifestyle,” said Katherine Gray, a worker at Summerhill Ltd.
Gray’s mother opened the first antique store in downtown in the early ‘60s. Since then Gray has owned an antique store, worked at another one for 25 years, and is now settled at Summerhill. She’s seen the changes in Downtown Orange through her childhood and while she raised a family of her own. Gray said that while she still tries to support local businesses, there isn’t the same incentive to mutually assist one another. Now, she values deals more and often shops online instead of in the community if the prices are better. Restaurants and coffee shops have been taking the places of shops that used to be facets of the neighborhood. Pandor Bakery, an artisan bakery and French bistro café, opened last year and Urth Caffe, which has locations in Beverly Hills, Santa Monica, and Manhattan Beach, among other locations, is set to open by the end of the year. 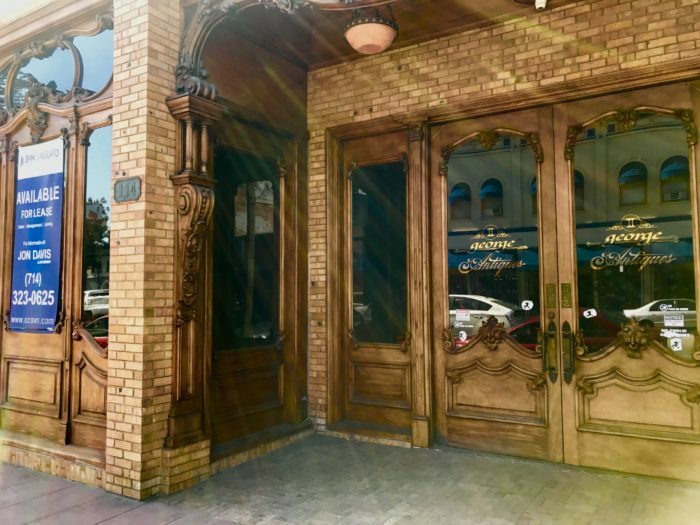 Restaurants have not only invaded the physical spaces where older shops used to reside, they’ve also affected how people go about antiquing in the Circle. “The timing has changed. Now it’s more they come and have lunch or eat here and then they’ll shop, which is very different than it used to be. They used to be down here early shopping right away,” Schulte said. Many attribute the increase of restaurants in the Circle to the preferences of Chapman students. “It couldn’t be helped that Chapman decided to grow. With that came business people that looked at it and said ‘what will Chapman need?’” said Gray. What students like are cheap places to eat and places to drink, she said. There is awareness within students that even though they are only here for a couple years, they are changing the culture of the place where they go to school. Many Chapman students have never been in any antique shop in the Circle. Rarely do they ever spend money there. However, they do frequent the restaurants when they need a meal away from the caf. “They goof around and then leave. Are we profiting? No. Are the restaurants profiting? Yes,” said Lisa De Vaul, co-owner of MMD Antiques. Elika Miller, a sophomore health science major, has never been in an antique store. Instead, the Sandhu resident frequents places like Bruxie and Pizza Press. Transportation and location are deciding factors for shops in the Circle. Establishments that market to Chapman students have a demographic within walking distance, but older shoppers who patronize the antique shops have to deal with parking, which is a constant hurdle. 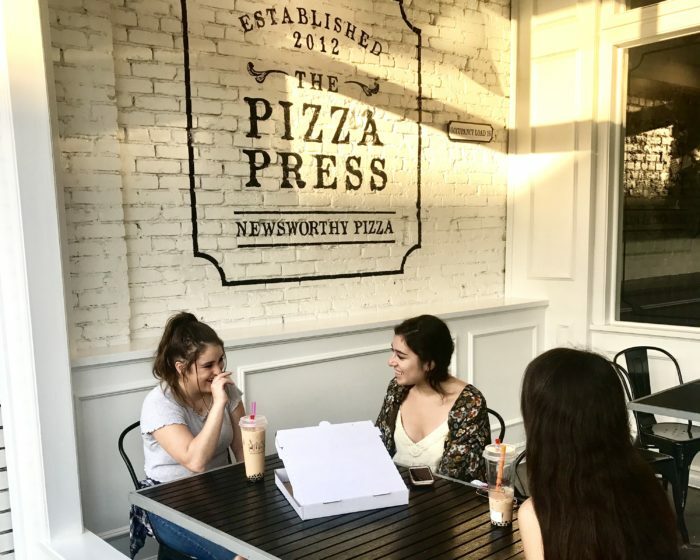 “A lot of people when they live in the dorms don’t bring their cars, so walking distance things are key,” said Hannah Mason, a sophomore psychology of international relations major, who works at Pie Hole. A parking shortage, worsened by Chapman’s growth, has also decreased the likelihood of shoppers stopping at antique stores, Gray said. This issue has been exacerbated by new restaurants coming in without considering where their customers are going to park. Boutiques such as Laurenly have a walk-in customer base largely made up of Chapman students. “Those stores are a little bit safe,” Gray said. Some of the antique shop owners can acknowledge that the parking problem, at least, cannot be entirely blamed on Chapman. The school and newer businesses have a symbiotic relationship. The restaurants offer student discounts, part-time jobs, photogenic hangouts, and alcohol to those who are over 21. Stores like Pizza Press and Pie Hole offer 10 percent off to any Chapman student who shows their ID at checkout. For students who are tight on money any little bit helps, and these incentive programs keep students coming back. And while students may wait tables or work retail, few are on staff in the antique stores. Another facet of business that restaurants in the Circle are picking up on is the social media aspect of interaction that millennials relish. “Newer, more hip places like the Pie Hole, where it’s a good hangout spot, or like coffee shops [will come]. It’s artsy. It’s cute. 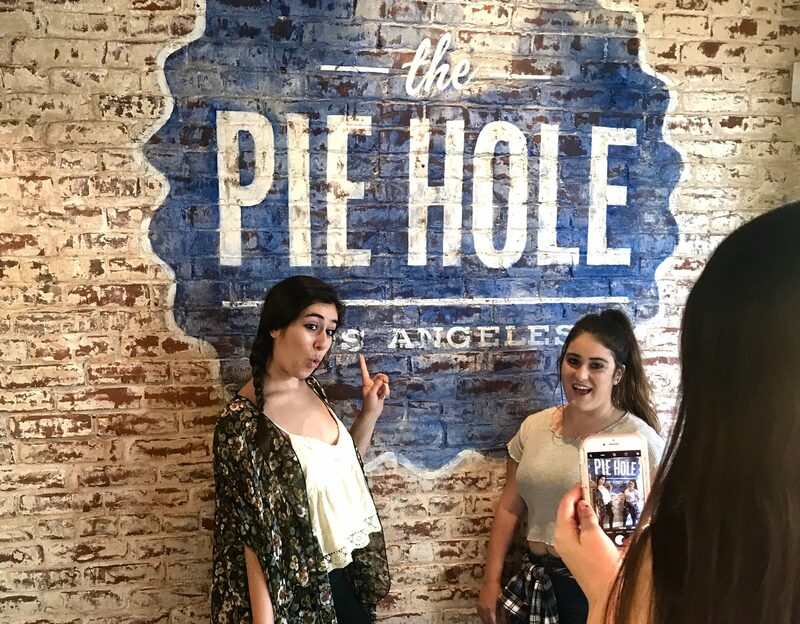 People want to take pictures in front of our Pie Hole wall,” Mason said. These businesses also have a partnership with each other. Mason said that many nights when students are coming back from the District, they’ll stop at Pie Hole for a late night snack. 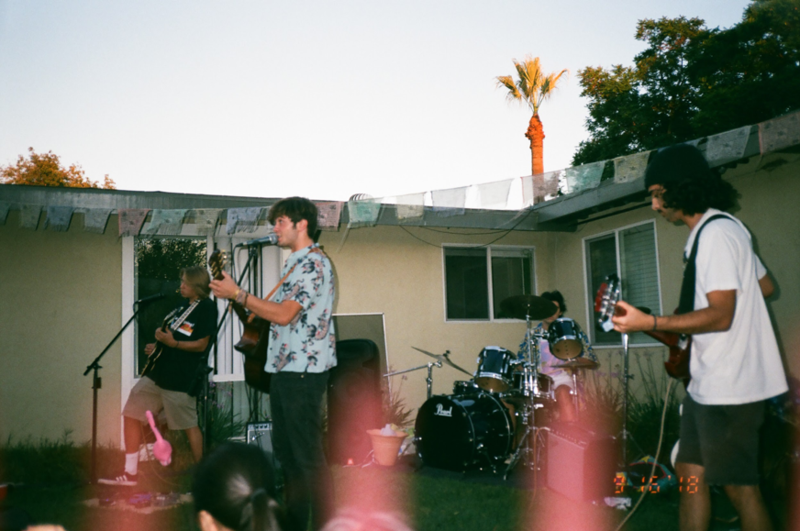 Places like O’Hares and the District Lounge heavily profit off Chapman students who are of drinking age, and the fact that these places can and do sell alcohol contributes to rising rents for other shops. “Restaurants serve alcohol. I had a lease and I went to pick up the lease, and they said sorry we can’t accept you because we leased it to them for double,” said Gray. De Vaul said rents are already high, but still going up every year. This is the reason many of the antique shops have had to shut down, with three closing in just the last year. There is no end to this shift in sight – especially now that Chapman requires students to live in on-campus housing for their freshman and sophomore years. Olivia Collins, a sophomore studio art major, voluntarily chose to live on campus for a second year in the Glass Apartments. “I do go to the Circle a lot just because it’s really convenient. I feel like the appeal is still there because all of the businesses are good,” Collins said. Collins thinks the new housing policy will increase business for the Circle because students will stay in its proximity for longer, and most everyone agrees that the antiques shops are going to continue disappearing while more shops for millennial Chapman students will crop up. Schulty says that whatever happens, the Plaza will never be what it once was.